Carrot cake cupcakes are one of my favorites, and, while I am a queen of buttercream of any flavor, I love pairing carrot cake cupcakes with cream cheese frosting. It was about four years ago when I discovered Bottega Lewi restaurant in Downtown LA and fell madly in love with their cupcakes. I started visiting the restaurant and dropping my hard earned money there more often than I should have, never mind the calories consumed! I knew that had to stop, and the only way I could do it was by making my own cupcakes. From then on baking became a big part of my life - the process is very therapeutic to me and, in the end, I get to eat a sweet treat! This Carrot Cake Cupcake recipe I originally found in the excellent cupcake recipe book by Shelly Kaldunski. As every baker, I felt compelled to make a tiny tweak to the recipe. I also always want to make sure that the cupcakes do not exceed 300 calories (and that's including the frosting!). In a medium sized bowl, sift together flour, baking soda, baking powder, salt, and cinnamon. In another large sized bowl, whisk oil and sugar, then add, one at a time, carrots, eggs, buttermilk, vanilla, and pecans. Using a rubber spatula, fold flour mixture into the oil mixture until completely combined. Do not over mix. 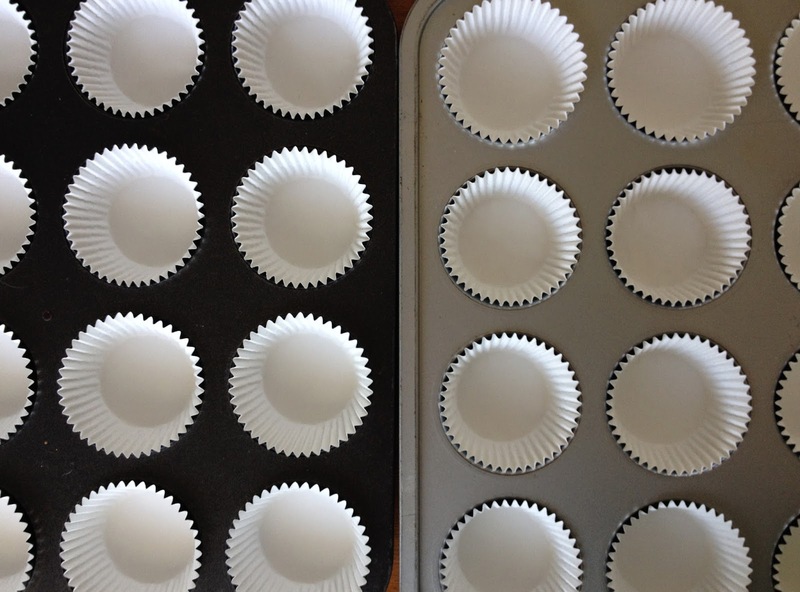 Line a muffin pan with 12 paper liners. Using an ice-cream scooper, distribute the dough evenly among the liners, filling each cup no more than 3/4 full. Bake for about 20 minutes or until golden brown and the toothpick inserted in the middle comes out clean. Place the cupcakes onto a cooling rack and let cooled completely for about 1 hour. Since I am a completely and insanely organized person, I always prepare all ingredients first and line them up in the order to be used. I don't care that I am being laughed at for this ~ it makes the process very quick and easy! 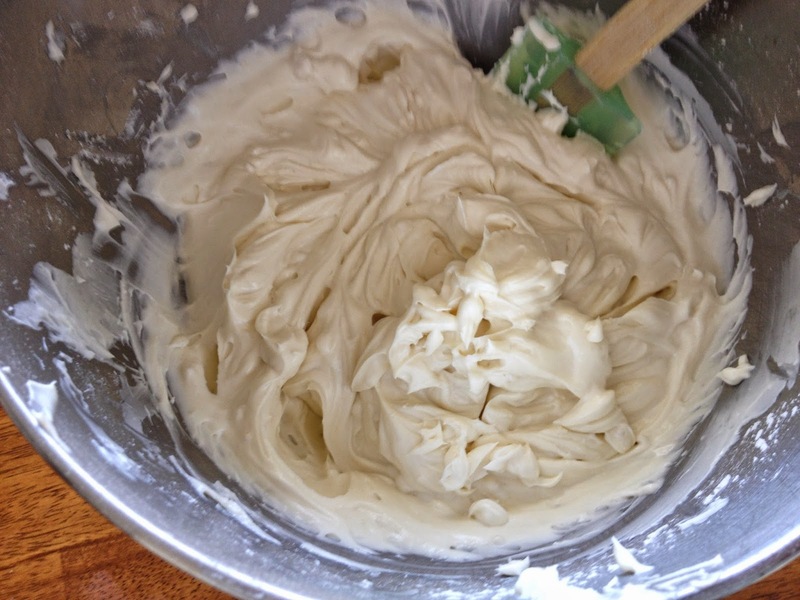 In a mixing bowl, using an electric mixer on medium high speed, beat the cream cheese, butter, and vanilla for about 2 minutes. In about 3 installments, beat in the sugar until thoroughly combined. If you feel to take the cupcakes to another level, candied carrots and pecans are the way to go! In a small sauce pan, combine 1/4 cup water and 1/3 cup sugar. Bring it to a boil, and boil for about 10-15 minutes. Meanwhile, toast the pecans and, using a vegetable peeler, peel wide carrot strips. Add the carrot strips to the boiling mixture. Boil for another 5 minutes. Then, add pecans and set aside to cool for about 1 hour. Decorate the cupcakes and enjoy!